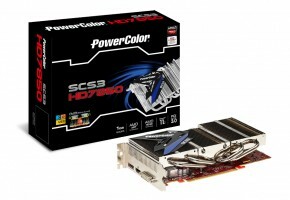 We are two weeks from AMD Radeon HD 7800 Series to be released. First leaked photograps are leaking onto web. This time we have a full specification on a official AMD slide. Specification are sligthly different than previously leaked. Mostly core clocks are different and power consumption. Radeons HD 7870 core clock is set to 1000 MHz, while Radeon HD 7850 has a core clock of 860 MHz. Both cards feature the same amount and type of memory which is 2GB of GDDR5. 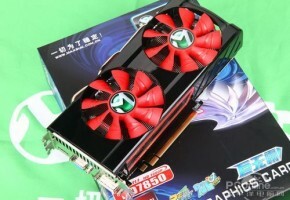 Radeon HD 7870 and 7850 have a bandwidth of 153.6 GB/s with a data rate up to 4.8 Gbps. Memory clock was set on both cards to 1200 MHz. 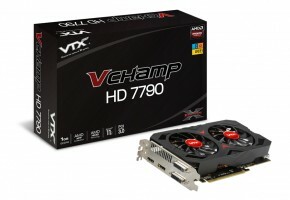 Radeon HD 7870 has more stream processors (1280) than Radeon HD 7850 (1024). Also Pitcairn XT counts more texture units (80) than Pitcairn Pro (64). Computing performance of HD 7870 was measured at 2.56 TFLOPS, which is more than Radeon HD 7850 (1.76 TFLOPS). 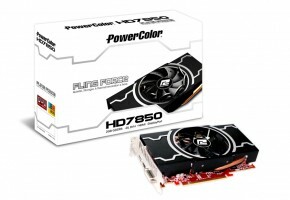 Radeon HD 7870 reaches a texture fillrate of 80 GT/s, while pixel fillrate was measured at 32 GP/s. 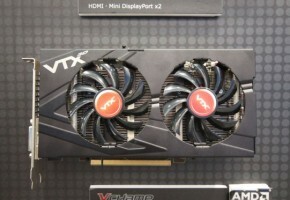 AMD Radeon HD 7870 required at least 175 Watts of power, while Radeon HD 7850 will consume around 130 Watts. 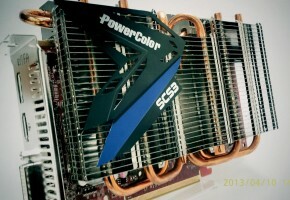 New technology from AMD – ZeroCore – can dramatically decrease power consumption on both cards to 3 Watts. 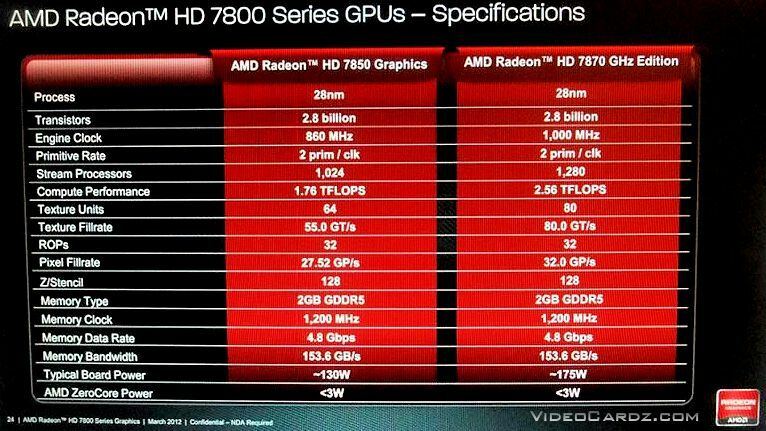 AMD Radeon HD 7800 series are expected to be launched around 15th March.